Water, water, everywhere! Boaters, fishermen, sightseers and water lovers in general are given a multitude of options to enjoy in the Winter Park area. Visitors to the Winter Park area can have their pick of 'wet and wild' experiences - from a relaxing stroll down the Fraser River Trail, or rafting down the Colorado River, to boating, fishing and/or camping near one of its many bodies of water. This river's headwaters begin in Rocky Mountain National Park, about 25 miles north of Grand Lake, where it is then diverted into Shadow Mountain Lake before flowing into Grand Lake. As this river runs its course through Grand County, rafters and fishermen are frequently seen enjoying its gentle strength and bounty. 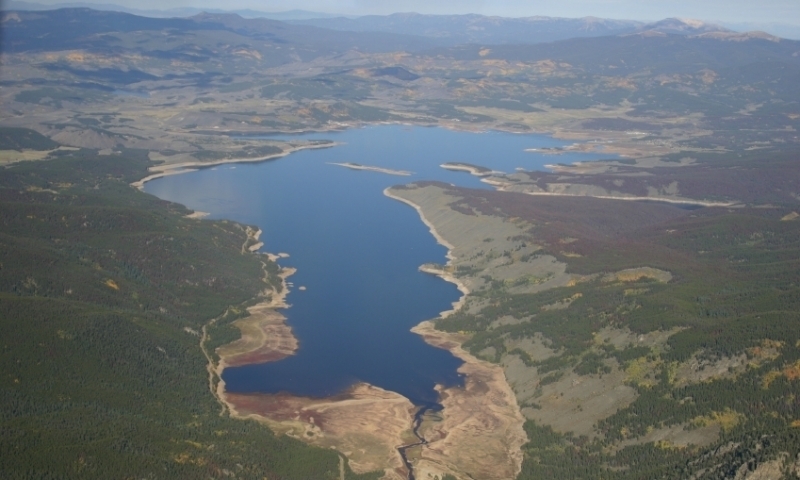 As the second largest body of water in Colorado, Lake Granby attracts boaters, fishermen, campers and hikers; it's so popular due to its striking Continental Divide views and its proximity to national forests and campgrounds. Passing through the Rocky Mountains, pristine national forests and several mountain towns, the Fraser River runs along a foot path through the Winter Park Resort's Base, as well as the towns of Winter Park and Fraser. One of the three lakes within the Three Lakes Region of Grand County, this lake gives boaters and fishermen yet another option; trout and salmon can be fished within this shallow lake, with the maximum depth at 24 feet. Grand Lake is located near the west entrance of Rocky Mountain National Park; it is Colorado's largest and deepest natural lake. Boating, fishing, jet skiing, kayaking, and water skiing are just a few reasons why people frequent these glacier-fed waters with the Continental Divide towering in the background. This reservoir is also a Trophy Pike Fishery; known as the fastest fresh water fish, these pikes give the fishermen a run for their money, with some over 40 inches long! Camping, wind surfing, and other recreational activities are permitted at this beautiful reservoir just outside of Parshall. Explore the headwaters of the mighty Colorado River.